Beautiful You: New Friends | OOTD's! On Wednesday I went to Cardiff for the day and if you follow me on any of my social media then you will know that I went to see my friend Abi from Abbabubble and her son Harley, we've been talking for a long time and we finally decided to get together! We were talking about doing a blog post so we decided to take some outfit of the day photos and share them with you all. 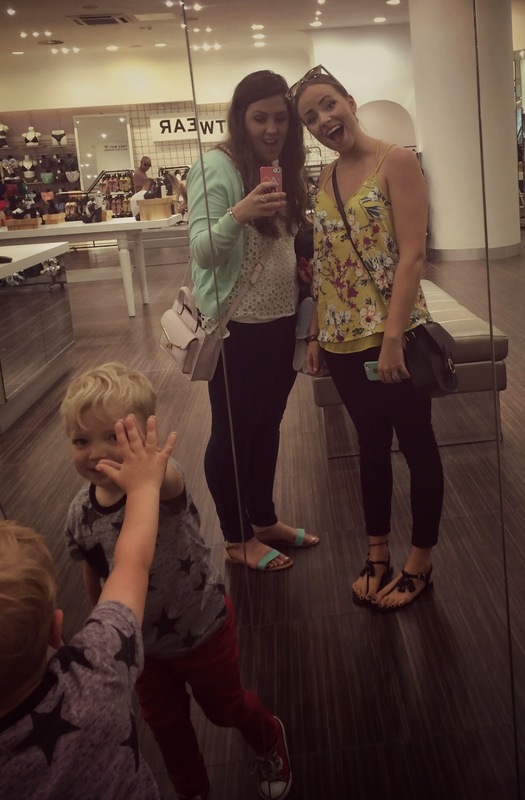 I will say now that they aren't any good because we were having such a good day that time ran away with us so I am just using a cheeky selfie that we took in the Topshop mirrors! Not only will me and Abi be showing you our outfits but so will Harley as he is the best dressed kid ever! I know this is a little different but I wanted to share a part of the day with you guys so I think a quick OOTD would do the job! I have been loving florals at the moment, what summer print/trend have you been loving? Let me know in the comments below! I will see you guys on Monday and I hope you all have a lovely weekend!